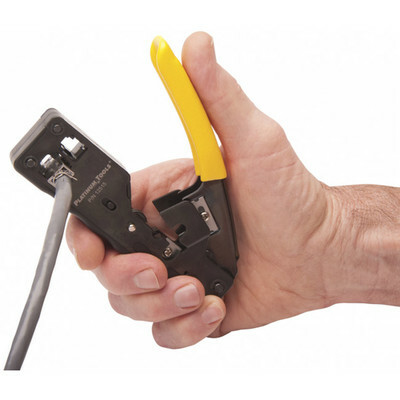 This Platinum Tools Tele-TitanXg CAT6A/10Gig Crimp Tool is specifically for terminating bigger cables such as CAT6A. This crimp tool will save your hand from getting cramped up; it requires only minimal pressure for a perfect crimp. This also works great on shielded cables too.